Buying a property requires the house buyer in San Antonio to be prepared financially. Smart home buyers conducts a thorough research in that area, hire a professional agent of real estate agent who will aid in the house search and integrate adequate time coming up or creating personalized checklists for home buying. This makes it possible for buyers with financial abilities to identify houses that are in line with their lifestyle needs. Additionally, buyers have a chance to figure out their financial requirements before they can decide on the house to purchase. Buyers who have great credit score usually find this step less complicated and are sure on how to access a home loan without struggles. However, for a person wishing to purchase a house with poor or bad credit, especially in San Antonio, this option tends to be tedious and somehow complicated. Basically, a credit report will determine the amount you get from home loans, the house type to purchase and where to purchase it. Your credit score can also limit you from purchasing or obtaining a house of your dreams in San Antonio. Many credit companies argue that great credit score reflects on how the buyer is able to make payments on monthly basis. However, this could be wrong and misleading since, at often times, life changes, which are unexpected could hinder those payments and this could result in a bad rating on your credit score. Today, the issue of bad credit has affected many people in their search for a dream house. A poor credit score limits lenders from giving out a home loan to the buyer to purchase a house. 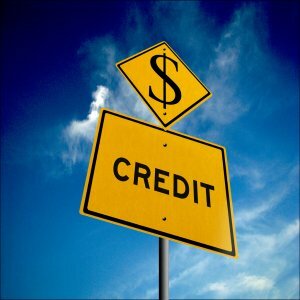 Furthermore, bad credit goes beyond the mere financial report since it leaves a willing house buyer wondering on how to buy a property without adequate capital. Thankfully, various methods are available to better your finances and position yourself when looking for a house. By taking various steps, house buyers with bad credit scores can increase their chances of accessing a home loan and hence acquire their dream house. One of this method entails offering a bigger down payment as a buyer than what is originally asked for by the lender. 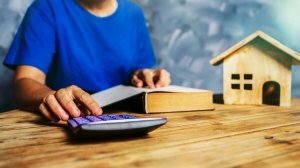 Generally, for borrowers who have a credit score that ranges below 580, having the willingness to pay more on down payment for a home is a necessity. Without a down payment which is significant, many companies that give mortgage loans would find it difficult to give you a home loan. This is an indication that when the lender is convinced that you can “save for a larger down payment, they are likely to offer a house loan despite bad credit history”. Additionally, lenders will tend to decrease the loan-to-value ratio since they argue that “the more money you invest into a home upfront, defaulting to make payment is likely to be less”. This means that for larger down payment, the lender experiences fewer risks regardless of the bad credit score of the buyer. Getting a home loan If you are genuinely willing to buy a house and have a bad credit, getting a home loan would be the best option for you. 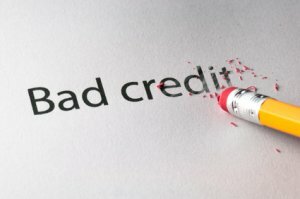 Bad credit is an indication that your savings are not enough to secure a property and hence you have to rely on mortgage companies so as to purchase a home or any property. Securing a house loan requires you to demonstrate financial stability and especially to the lender. Many mortgage companies have experts who evaluate the eligibility of the applicant rather than depending on automated systems to determine eligibility. The experts evaluate the application using a manual underwriting and decide on whether you have the potential to meet the monthly payment required and the cost involved. The main trick or aspect here is to put more emphasis on your financial security and show your ability as well as why you are qualified for the loan. Portraying a high income and a scenario of low debt is also a strategy which will portray you as a loan candidate who is less risky on the side of the lender. All you need is to have a vivid explanation pertaining to your bad credit score. With a bad credit score, accessing a loan from large financial institutions could prove to be a challenge to you and hence it is advisable to opt for private financial institutions. Basically, it is easier to obtain a private loan with a bad credit. However, private loans tend to have a higher interest rate and some other major drawbacks such as relationship strife. A home loan can also be obtained from friends, family members or private lenders. “Federal Housing Administration (FHA) loans” Once you decide to purchase a home with bad credit score, FHA is the best financial solution for you. “FHA loans for bad credit” requires you to protect the person lending you house loan by paying a specific amount of money for mortgage insurance. This protects the lender from an instance where the borrower may default to pay the loan. FHA loans give a chance for willing buyers who have bad credit to buy houses in San Antonio but with an attached fee which is much higher. FHA loans give a chance for buyers with bad credit to acquire same houses as those with good credit score. We buy houses on a cash basis in San Antonio Texas. You can sell your house to us anytime and will give you a good deal that you can only imagine of. Our terms of services are built on trust, appropriate timeline and efficiency. We can also close fast within your stipulated timeline. Call us now at (210) 547-7505!